Discover where Dallas locals hang out. From Deep Ellum to Trinity Groves and beyond, there is so much to experience in Dallas, its surrounding cities and the places we call home! You can see and do it all in Dallas’ many diverse neighborhoods. Watch what makes just a few of our featured neighborhoods so special. Dallas’ many neighborhoods and entertainment districts have everything you can imagine for an exciting and diverse visit. From family-friendly offerings and quaint settings to vibrant nightlife and exciting atmospheres, you can do and see it all in Dallas’ various neighborhoods and surrounding cities. 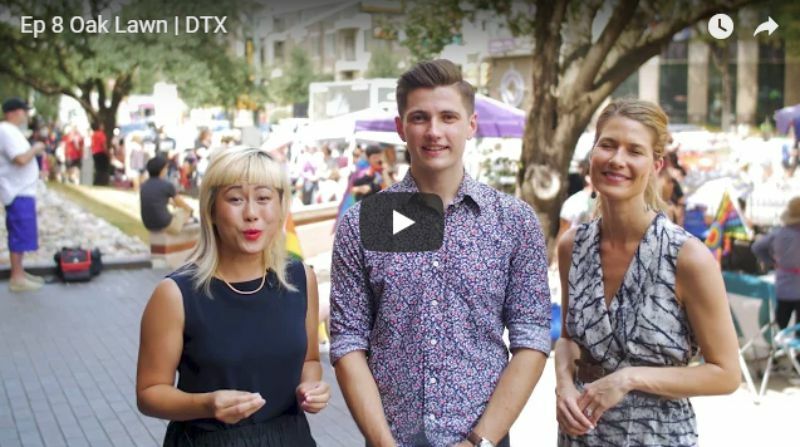 In a series of videos, VisitDallas.com promotes several Dallas neighborhoods including Oak Lawn. Visit the website to view the whole series of videos.